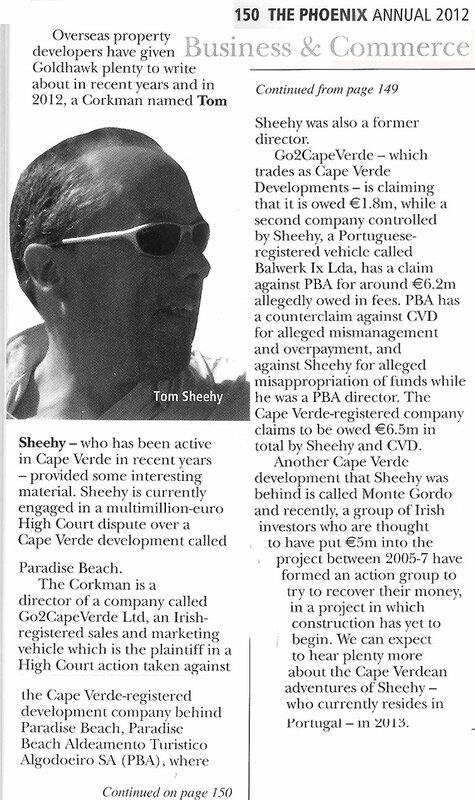 Clonakilty native Tom Sheehy of Go2CapeVerde Ltd., T/A Cape Verde Development, has been making a number of appearances in a range of national titles including the Irish Examiner and The Sunday Business Post. This is the second time he’s appeared in Phoenix Magazine’s Hot Water Brigade section – here’s the first one. Sheehy and his fellow director Niall Fleming (both currently residing in the Lisbon area of Portugal) have come in for a lot of criticism, as well as legal action on a number of fronts. Investors with Cape Verde Development claim they have not received properties for which they have paid and two groups have been formed to make the pair answerable for their dealings in Murdeira Beach and Monte Gordo. 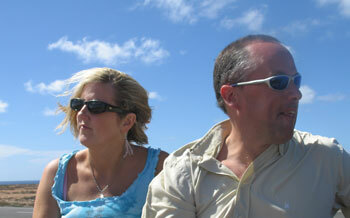 Former partners of the pair have also become disaffected, claiming they have been defrauded. Sheehy has already been the subject of a €8.5m judgement at the hands Brian Murphy O’Connor and Ted Whittaker and both Sheehy and and Fleming are due in the High Court in Dublin tomorrow, December 4th, in a case being brought against them by the Cotter Brothers, Ned and John, relating to dealings with the Paradise Beach development on Sal during its construction. All is, it would appear, not well in the tiny Atlantic Archipelago of Cape Verde.